I have friends in my club that despise link oand length and Magic tracks and so wanted DS. I have been happy to do a straight swap of my DS tracks for Magic tracks. Now I am ecstatic, but I wonder if my friends have opened boxes lately...... and if I still have friends..
POOR DRAGON!!! They're SO CLUELESS, regarding their "DS Tracks". I wonder if they've EVEN NOTICED, (or care), that modelers are experiencing very unsatisfactory "events" with these tracks..? In any case, DRAGON has proved that they haven't paid much attention to customers' opinions, wishes or complaints, regarding ANYTHING... 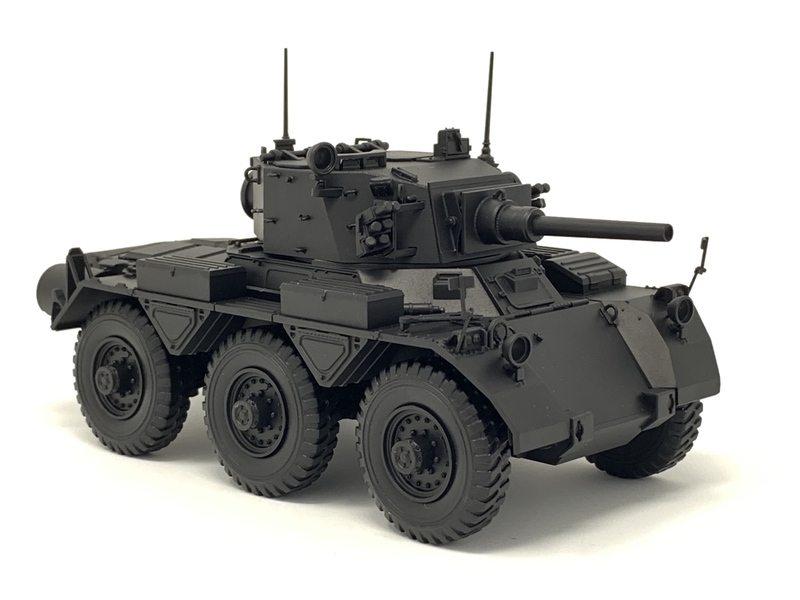 True, they have consulted with a few of our esteemed fellow-ARMORAMA members in relation to some kits, but as far as the "DS Tracks" versus the "MAGIC Tracks" are concerned, NIX- In fact, DRAGON has continued releasing NEW KITS which include these much-detested tracks. I really can't agree with some of the modelers in this thread who won't ever buy DRAGON kits just because they include "DS Tracks"; you're missing out on some great subject-matter. WHAT'S THE BIG DEAL??? Some of you will spend a small fortune, (myself included), on after-market PE and resin, or multi-media update sets, PLUS A/M TRACKS, ANYWAY! QUIT YOUR DAMNED CRYING ABOUT "DS TRACKS" because it's already been discussed too many times, and DRAGON ISN'T GOING TO DO ANYTHING ABOUT THEM!!! DEAL WITH IT!!! It has indeed been discussed before but some warnings need to be repeated. I made my decision many moons ago but now I had the opportunity to get usable pictures disintegrated tracks still in their little bag (i.e. I had not caused the problem by using the wrong glue, solvents or paint). If there is too much negative publicity even large companies need to take it seriously. It is all a matter of "public awareness"
What would happen if every review of a kit with DS-tracks in them mentioned that there is a significant risk of the tracks disintegrating? Some manufacturers are re-issuing older kits and the big change is that the flexible tracks have been replaced. If there is a market for expensive replacement tracks then it should be possible to squeeze a few extra dollars out of the customer. The molds for Magic-Tracks exist so the difference is mostly the production cost (hard styrene vs the DS crap) and maybe some packaging and handling. Nothign will change until it starts hurting the financial results for Dragon and public awareness might be a way of getting there. Just for the record, it wasn't YOU specifically that I was telling to "shut up". MANY people answered your initial post, and it was THE SAME OLD COMPLAINT from nearly EVERYONE, it seemed. As I've said all-too-often in my complaints in favor of more "PROPER" US/Allied WWII subject matter, what MAY be needed is an "en masse", CONCERTED EFFORT by modelers to make the model manufacturers AWARE of our dissatisfaction with some of their products. HOWEVER, it is my understanding that DRAGON, like TAMIYA, is a big TOY MANUFACTURER, and that their manufacture of models is only a comparative "side-line". Tamiya has gotten it right, why can't Dragon? Dragon has changed the formula of DS at least once since the roll-out but they aren't diving up on it. It's also used in their toys. Good to see Dragon bring back a problem that was solved back in the 1970s. I had kits in the box ruined by melting track as well as tracks and tires get brittle and end up in little pieces on finished kits from the 1960s. At least Dragon puts the track in their own little bag so they don't ruin the kit parts. But those long bags twist all over the box and DS just won't untwist from some of those pretzels. I actually check the DS tracks in kits in the stash monthly. And I would swear on Tamiya glueable track that the detail gets softer over time. Perhaps Robin's SALIENT POINT is worth noting: It's about Dragon's DS - NOT about whether strip / band / 1-piece tracks are better or worse then are link-sets. I think it should be of extreme interest to those who prefer and use the 1-piece tracks, as those folks are the ones most impacted by the potential for their kit parts to waste out sooner or later - and disastrously so if on a build. There are about 3 major versions of track-sets now available on the market in kits and AM: 1-piece flexible "band" or loop tracks, separate link sets (in styrene, resin, metal), and link-and-length (and simply molded lengths, too) sets - generally styrene. Model companies should take heed of the oft-reported failures of the flexible band tracks. There has been a long history of issues with those things - and the issues are about the CHEMISTRY - not about having 1-piece sets, per se. 1-piece tracks are seen by many as being a money-saving route for companies - likely it IS, IMO. But the chemistry issue serves NO-ONE well. For those who like to dwell in the old band-versus-link debate: each track-format presumably serves its users and fans - as model-builders - well. Each format provides opportunities and benefits, and suffers limitations and challenges, as well. But I cannot see how it makes ANY SENSE to use a product which is prone to catastrophic failure due to its CHEMISTRY. I wouldn't use "DS" link sets, if they were "offered", any more than I will use DS band tracks. Perhaps model companies will take heed of these threads showing that the CHEMISTRY in their products is what is causing the out-cry and rancor seen HERE - NOT the provision of simple 1-piece tracks versus link sets. And the SIMPLE, adaptive change would be for them to simply use molded styrene runs: Eases kit production and packaging, costs no more in material nor in mold-making, and REDUCES POTENTIAL FOR KIT-BUYERS to GET ANGRY about incipient failure of the kit parts! That would be, IMHO, a WIN WIN for both companies and kit-buyers! I'll make one more comment here regarding the DS tracks-- and other manufacturers Vinyl type tracks. I really do believe these types of tracks were never intended --by any manufacturer-- to last for "years". They are an effective method of molding a difficult part inexpensively, to give the model builder something to throw on the model that looks good ( depending of course on the manufacturer-- Emhar tracks will never look good ). As such, I don't think we as modelers should expect those tracks to last in our display cases for more than a few years (say 10-20 years) without some deterioration. Before you good folks rise up and threaten to lynch me for saying this, I know there are exceptions (I have some Monogram vinyl wheels and tracks that are going on 60 years in my collection). Having said this, many modelers are content with what's in the box. And I agree, if you are not, go buy aftermarket-- there are plenty of options-- Bronco, AFV, Fruil, Panzershop, ad. infinitum. But, Dragon just continues to p--s me off. It's not just the tracks, it's the accuracy, quality, and price along with the DS BS that gets to me. The have stated in their own words they are catering more to the toy market, and have placed authentic scale models back farther on the burner. Their DS, Black Label, and several repackaged Orange Label kits fit their business model. So, I don't discount them, but before I buy any new Dragon kit, I read reviews, and look at the kit in the box (I'm lucky enough to have a LHS owner who allows that). Buyer beware-- that motto is especially true for Dragon, where it never was before. It's that niggling distraction which plagues many discussions and clouds thinking - the fact that there are "exceptions" to a pattern, trend, general theme, perceived commonality among observers of a set of phenomena, etc. Yes. There ARE "always" exceptions. People LOVE exceptions! In the matter of decaying flexible tracks, there are all those stories of sets which have remained intact - either in a box or on a build on a shelf - for many years. And these stories seem to take on some mysterious persuasiveness that leads folks to somehow believe and trust the idea that "Mine WON'T ever be the FAILURE types". It reminds me of a work experience I had many years ago... One which still lurks in my mind as I get older. Back in the late 1970's, I worked as an environmental assessment technician, sampling polluted aquatic environments to assess effects on local wildlife. I wore a set of "super-chemically-resistant" waders while out in the waters. I trusted those waders with my skin and life. They stood up well - no discoloration, no rotting, no degradation for years. But one day, a visit to the south Chicago wetlands - very pretty and clean-looking... Fixed that. Got home that night, stowed the equipment, went to bed. Got up next day to find that my "impervious" waders had melted down. Moral of story? I had finally met the exact set of conditions (chemical exposure, in this case) that crossed the threshold of my protective suit's materials, and it decayed. NOBODY here KNOWS what exact combination of air, temp, light, paint and plastic interactions triggered their reported melt-downs and failures. But many people have reported these events over decades. This means that there are likely LOTS of possible "conditional combinations" which will lead to failing flexible tracks (and kit "rubber" tires) - MANY MORE combos than seem to lead to failures of other kit materials and parts (which have much better records of longevity and stability). From this, you should understand that using the flexible tracks is, at best, chancy and a gamble - a gamble that you won't somehow suddenly find that YOUR CASE is NOT that nice EXCEPTION where your tracks are "just fine, Thank You.". If you don't want to experience the melt-down, simply use some other route for your tracks and tires. It's that or be happy with gambling to LOSE or DRAW! Do you want to cause change in the kit makers to fix this long-standing problem? Simply DON'T BUY kits with the suspect materials. The companies (even Dragon) WANT to sell you kits. 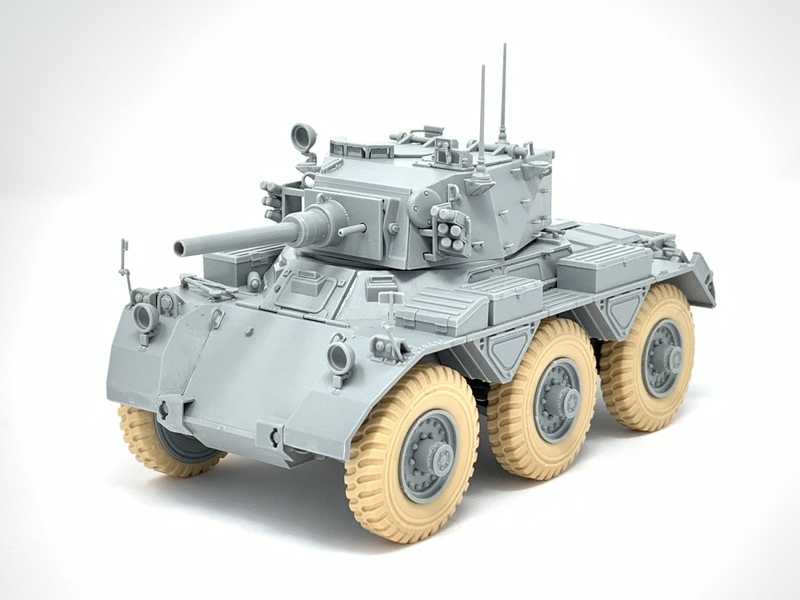 I'm glad I stocked up on enough Bronco AB3522 T-158LL workable track sets to replace the DS crap included in the nine M1A1/A2 SEP/SEP V2 kits in the stash. What Bob Woodman said-- I worked in a career for 25 years involving the wearing of rubber suits. Bob is right-- none of these materials (not even the rubber on tires of your family car) will last indefinitely. eventually they will crack or deteriorate as the ravages of heat, cold, humidity (or lack thereof) dry out and chemically change the polymers in flexible material. The consumer should have the right to expect it will last at least a few years. Knowing it won't, and taking the precautions to replace this junk is obviously the best remedy. But, consumers also deserve not to pay extra for this stuff, and manufacturers should take steps not to sell it when its obvious it's a failure. But it seems Dragon doesn't really care what the consumer thinks-- again, buyer beware. Probably nothing, inasmuch as nearly every review already mentions the overall decline in quality, the prices, the glaring gaffes with the Black Label kits, etc., etc. Nothing will change until it starts hurting the financial results for Dragon and public awareness might be a way of getting there. You are making a big assumption there Robin, one which the evidence to date contradicts. You are counting on them changing something because of an external stimulus. I really don't think they care. Yes, PB, you do still have a few friends. I just checked my stash and found four kits with DS tracks, only one of which had started to break up. I also had a Tiger 1 recently, and the tracks on that one were useless as well. I'd say it's the luck of the draw unless DML have changed the formula somewhere along the way. Of course (we can but hope) DML could always do what they did in the recent SIG33 kit, which included both DS tracks and link to link? My 3 year old loves DS tracks. They make great stretchy snakes for him to play with. And I'm mostly with you, Tony! I LOVE links. I'm in no way suggesting that styrene L-and-L tracks would be any desirable solution or alternative for link-lovers. They would, however, be a good alternative for those who prefer 1-piece (or few-piece) things over those sometimes-tedious links. That, and providing styrene links would go great lengths to improve customer relations for some kit makers (like the D...). Further, inclusion of styrene L-and-L would help your local HS and e-vendors, who currently get all sorts of rancor from folks getting DS tracks they fear or worry about without planning on it, and it would help kit resellers, too. People - even those liking the 1-piece route, would feel a lot safer, on average, if they could TRUST the product that they are selling or buying. WIN, WIN, WIN. All the way 'round! For us link fans... getting crappy DS tracks mostly just means getting something you don't want, won't use, and would probably prefer not to pay for. At least some of us linkers (I... ) will actually use styrene L-and-L tracks occasionally, if they look good and come in the kit! NEVER that DS junk! I checked through a few of the DS-infected Dragon kits and some were OK, in some boxes the DS-track had started "imprinting" itself on the plastic baggie/tube it was sealed inside, one track was beginning to show signs of deterioration. The beginning crinkliness of the plastic bag looked the same as the really bad example I showed in the original post. The plastic of the bags felt different, the ones were the tracks were shaping the plastic bag felt a little "oily" compared to the bag where there were no signs of trouble. I wonder if the problems are caused by an unsuitable combination of the DS-material and the chemistry in the sealed plastic bag? Everyone here realizes that Dragon has been extremely hurt as an armour brand by DS tracks and Black Series kits right. They have to have been. I have not seen any of my DS tracks disintegrate but most are still in the bag. But after all this and my experience with the T54E1 I have sworn off Dragon totally. They cannot build a kit I would buy and I have several dozen of their fancy multi media kits in the closet and a many on the shelf. I started buying dragon kits with the original T72 kit and ended with the T54e1 kit and there will be no more. I just realized that I went ahead and used the DS wheels for my Black Label Saladin build. It's already been primed too! I guess I'll find out if these disintegrate too. Don’t feel bad— I have the 1/72 Dragon Apollo-Soyuz model and the entire Soyuz model is made from a lavender DS material— now why would they do that? Just another crappy Dragon cheapie way to save on injection molding and boost the price. So far so good. I’m going to try and see if I can reverse mold it in Resin. Have Dragon changed the formula since they were first released?I know they came out round about 2006 and I had the dragon kit for years and the tracks were fine after about 5 years.